Functional Fitness Premium Flat Yoga Band. Deepens Stretches and Builds Strength	Ideal Resistance Band for Yoga, Stretching, Physical Therapy, Full Body Exercises. 100% Satisfaction Guarantee Warranty. These premium quality flat stretch yoga bands are made from premium elastic latex for maximum stretch and durability. They are available individually or in a set of three with varying resistance levels to compliment any skill or strength level. 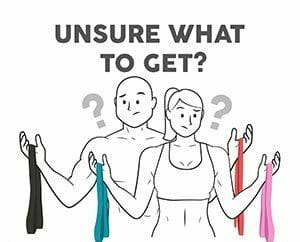 Yoga Bands are a great way to deepen stretches, build functional strength, and expedite recovery. Flat Stretch Resistance Band tones and strengthens yours muscles without adding unnecessary size; A great addition to any Yoga flow. Popular for Full Body Exercises, Physical Therapy, Yoga, Pilates, AcroYoga, and Stretching	Lightweight and Travel Ready - Perfect for the individual on the go. Helps improve strength, stabilization, and stamina in both large and small muscle groups.